Courtesy of: SPC Michael J. Grimm, 1st Battalion 75th Ranger Regiment, Hunter Army Airfield, Savannah, Georgia. 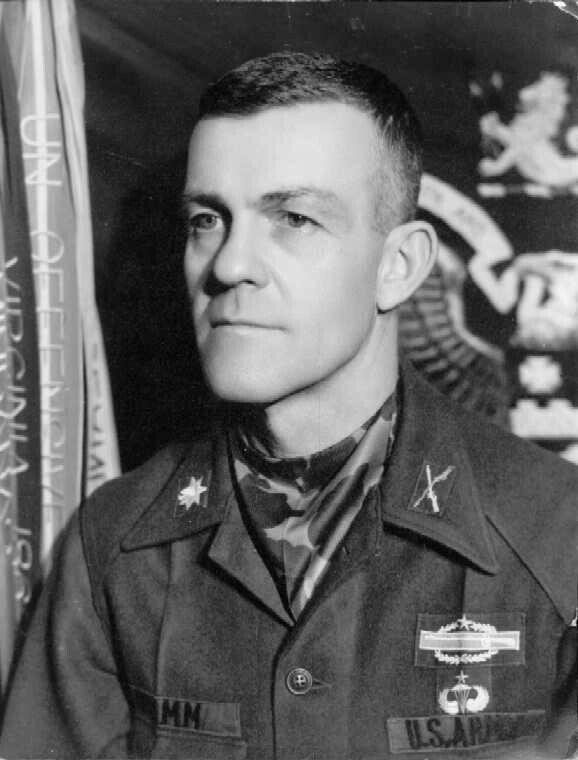 Colonel Philip D. Grimm, U.S. Army (retired) who died 8 April 2005 in Williamsburg, Virginia, was born in Lincoln, Nebraska, 13 July 1927, to Henry Arnold (WWI - 11th Infantry Division) and Adelaide Kidd Grimm. Colonel Grimm spent his childhood in Wyomissing, Pennsylvania, near Reading. In 1944 he enlisted in the U.S. Army and attended the cadet program at Penn State University until it was terminated and he was assigned to the U.S. Constabulary forces in Germany. He was wounded in a Czechoslovakian border clash in 1946 while serving as a Platoon Sergeant with the 11th Constabulary Regiment. He was discharged in 1947 and attended the University of Nebraska from 1947-51. While there he participated in the Army ROTC program and was called back to active duty in January 1951, commissioned a Second Lieutenant and assigned to the 2nd Battalion, 17th Infantry, 7th Infantry Division, in Korea, as a Rifle Platoon Leader in F Company from 1951-52. Following the Korean conflict he earned the coveted Airborne wings, and Ranger tab and commanded rifle companies in the 31st Infantry Division, 82nd Airborne Division, and later the 4th Armored Division in Germany. While stationed in Germany, then Captain Grimm, organized, trained, and commanded the first Long Range Reconnaissance Patrol in the U.S. Army. Assigned to Fort Monroe in 1961, he served from 1962-64 as the Senior-Aide-de-Camp to General John. K. Waters, Commanding General, Continental Army Command. 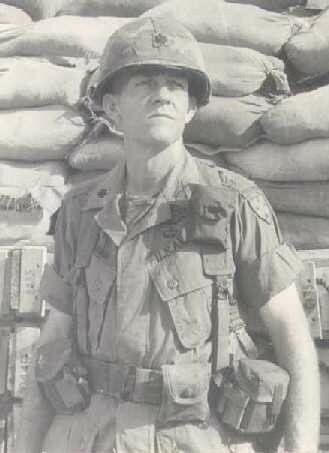 Following Special Forces (Green Beret) training, he served in Vietnam in 1964-65 as advisor to the 8th ARVN Regiment. 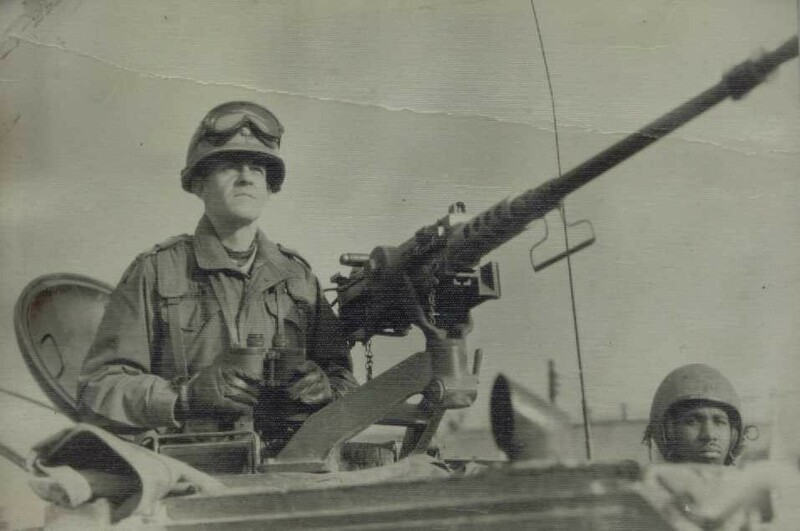 He was assigned to the Special Warfare Staff at Fort Monroe from 1966-68 and then returned overseas to Korea to command the 1st Battalion 17th Infantry, 7th Infantry Division from 1968-1969. In October 1969, he returned to Vietnam, serving as deputy Commander 3rd Brigade and G-2 Intelligence, 1st Infantry Division, then as G-4 Logistics Officer with the 23rd Americal Division, prior to assuming command of the 4th Battalion 3rd infantry (Old Guard). His battalion command was marked by a distinguished record of accomplishment in distinctive small unit saturation operations resulting in the rapid reduction of enemy forces in his area of operations while reducing friendly casualties. 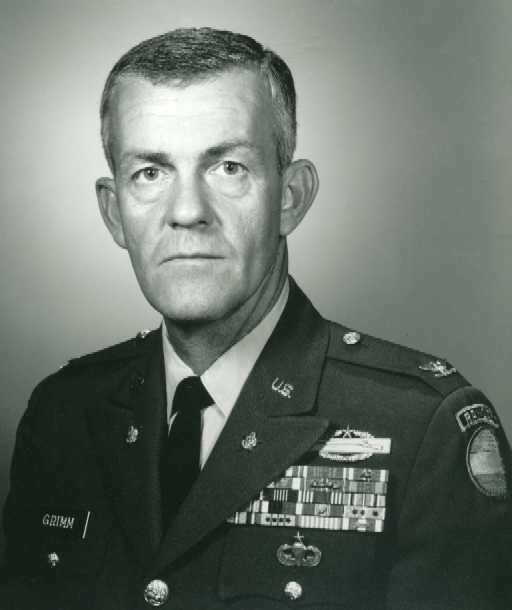 Colonel Grimm returned to Fort Monroe in 1971, later graduating from the U.S. Army War College, and served as Chief of Plans and Operations at TRADOC prior to his retirement in 1974. During his 30 year career he earned the Silver Star, Legion of Merit, Distinguished Flying Cross (oak leaf cluster), AirMedal (4 oak leaf clusters) Bronze Star (4 oak leaf clusters), Senior Parachutist, Special Forces tab and numerous other awards and decorations. He was made a Distinguished and Honorary Members of the 3rd Infantry Regiment "Old Guard" on 23 July 1999. Upon retirement he became the American Legion Department of Virginia Adjutant, serving in that capacity for eight years, was briefly manager of the Williamsburg Airport, and later served for several years as Regional Sales Director for Valeron-GTE of Williamsburg. He was an avid fisherman, boats man, and pilot. His wife of 41 years, Joel Bailey Grimm a renowned journalism teacher at Kecoughtan High School, preceded him in death in 1992. He is survived by wife Maureen, a daughter and son-in-law; Lieutenant Colonel (ret.) Edward J. (USMA 76) and Alix G. Brennan of Leavenworth Kansas, three sons and their wives, Philip J. (USMA 74) and Barbara Grimm of Franklin, Teennessee; Major (ret.) Russell A. (USMA 76) and Doreen Grimm of Hampton, Virginia, Lieutennat Colonel David K. (VMI 86) and Janelle Grimm of Montclair, Virginia; a brother David A. Grimm, a veteran of WWII, 96th "Deadeye" Infantry Division, WIA during the battle of Okinawa, and his wife Sharon of Lewisburg, Pennsylvania; a ister, and brother-in-law Commander, USN, (ret.) Jack C. and Adelaide Thompson of Burke, Virginia; a sister-in-law, Susan Bailey wife of the late Commander William M. Bailey USNR of Omaha, Nebraska, and a brother-in-law Lloyd Peterson, an Army Air Corps veteran of WWII, of Scottsdale, Arizona; 14 grandchildren and two great grandchildren. 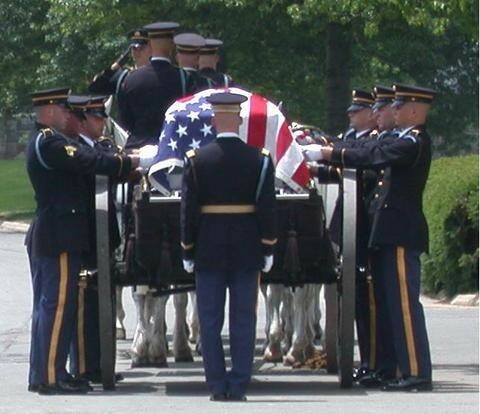 A funeral service and burial, with full military honors, was conducted at the Arlington National Cemetery on 13 June 2005. In recognition of Colonel Grimm and in support of our service members, memorial contributions may be made to the American Red Cross or the USO.